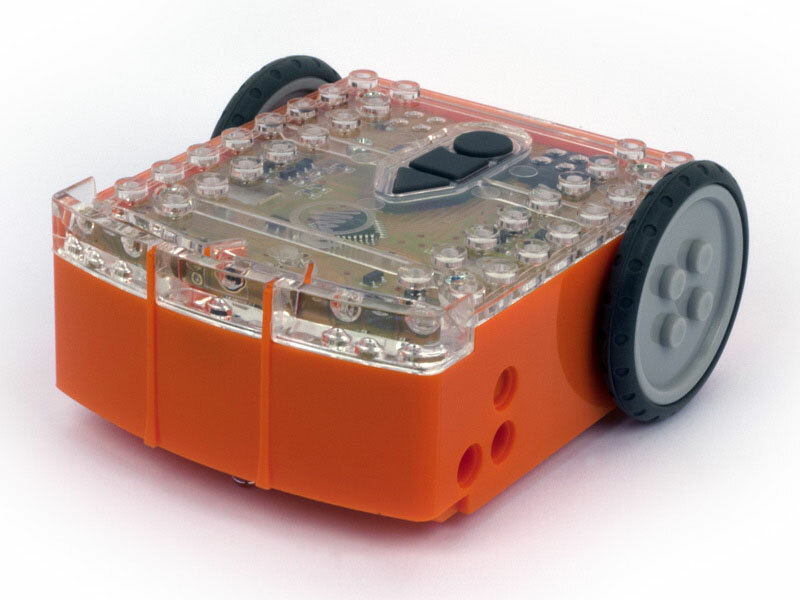 Edison is a programmable and LEGO-compatible robot that is tackling the high cost of entry level robotics; it has recently launched on Kickstarter, and is available for just $39 AUD ($37 USD) and less than $30 AUD ($28 USD) for a class pack of 30. 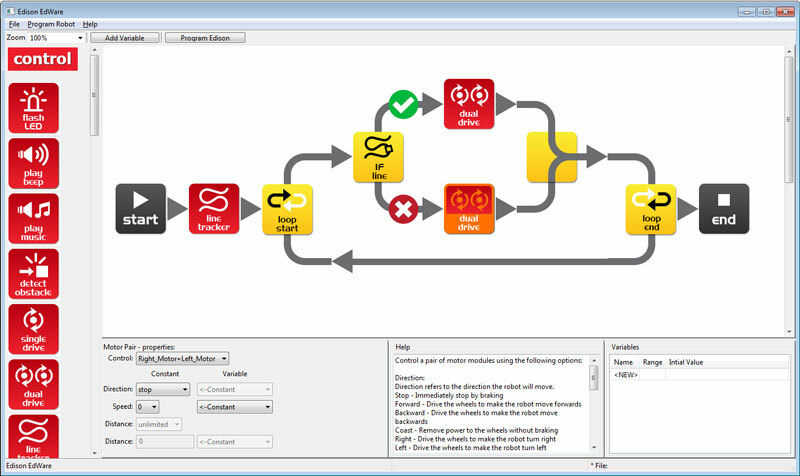 Programming Edison involves dragging and dropping icons to form a program. The software, EdWare is open source and compatible with Windows, Mac and Linux. Programs download into the robot via the supplied EdComm cable that plugs into the headphone jack of your computer. But programming isn’t necessary to start using Edison, as the robot has the ability to read special barcodes that activate pre-programmed features, such as line-following and obstacle avoidance. The barcodes also allow Edison to learn commands from a standard TV and DVD remote control, which can be used to drive the robot by remote control. Two or more Edisons can communicate via infrared light, so combined with the low cost, creating your own robot swarm becomes feasible. Edison robot is also LEGO-compatible, allowing you to build on to the robot and create something new. 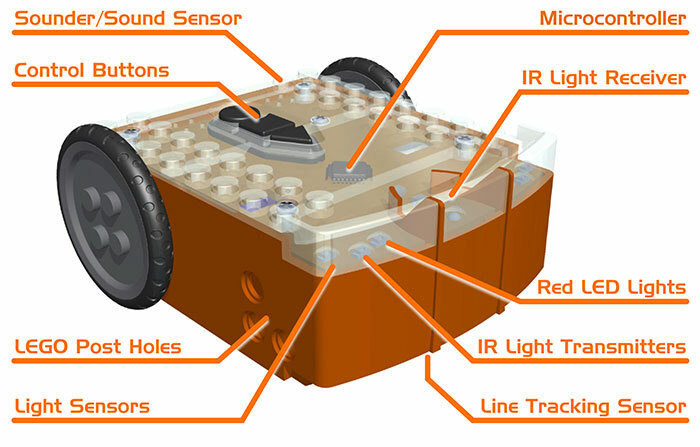 Already on the market are Lego Mindstorms (around $400), which has an impressive array of sensors and motors, and the Thymio, which is priced slightly lower at around $200. While these robot products are very good, their price can be a barrier to schools and to individuals from pursuing an interest in robotics. Edison’s price, capabilities and programmability make it outstanding value, and we are hoping that it will become the means through which many future robotics engineers first become interested in the field.